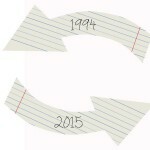 I always watched, completely fascinated, how people share themselves in various groups. 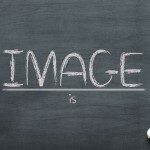 The idea of “I am X and I am an (something, anything)” raised a big question mark for me, as in would I ever do it if facing a similar situation? And I believe I would, being a very important part in the healing process, understanding and accepting your situation. However, I also believe that it’s important you achieve this awareness in a certain environment, where intimacy and comprehension are at home and where proper reaction and assistance are provided. When this advertising popped-up before my eyes “I am Paul McCartney and I am a Vegetarian” I felt a compulsive need to ask “so what can I do for you?”. I won’t deny PETA’s work and importance, but it’s my right to react (or not) in front of an advertising poster. And this poster features a Sir McCartney indeed, for he looks up to us like an aristocrat should. And not just any aristocrat – a vegetarian one! How petty of us (the non vegetarian) for not taking that road! I do like the t-shirts, though! Look subversively amusing to me! What’s your take on vegetarian-attitude and/or lifestyle? Does this vegetarian-anonymous ad-print work some magic on you? By the way, I’m not a vegetarian but I do eat meat very moderated just because it has always made me feel better. 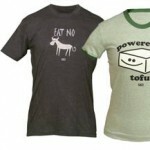 Tofu is a great product though with many possiblities for those who loves to cook. Just a note: I can see Peta’s point but I can’t support them being a non-violent person. 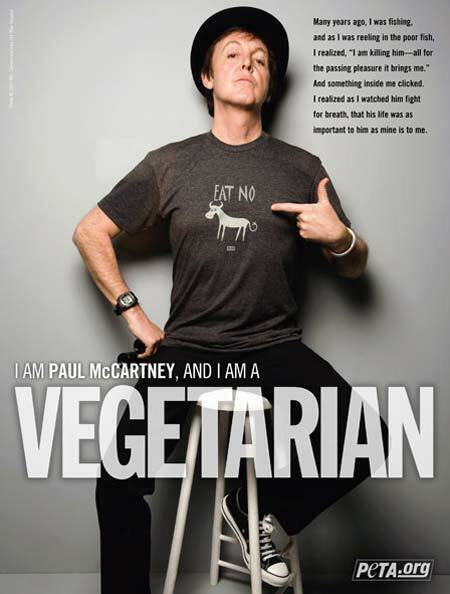 However you see the way Paul McCartney has advertised his vegetarianism I have great respect for it. He has realised his view is different to others and instead of clouding it over he has embraced it and not only that, he is able to accept it and express it to the world. I don’t think you realise how difficult it is to stand up for your views when they are are different to everybody else.Before you assume you understand his point of view actually check out why he’s so passionate.